Kyle Sanders is an investment sales specialist focusing on the individual sale of self-storage assets and portfolios nationwide. He hyper-specializes in the acquisition and disposition of self-storage properties, and has extensive experience with storage centers, mini-warehouses, and moving & storage businesses. From private capital to institutional clients, Kyle and his team have worked with some of the biggest players in the industry. Kyle primarily focuses on Eastern markets, where he has utilized his in-depth market knowledge to strategically become an important part of the transaction network. Whether expanding business market share or increasing passive income, he is extremely skilled at leveraging his resources to accomplish his clients objectives. 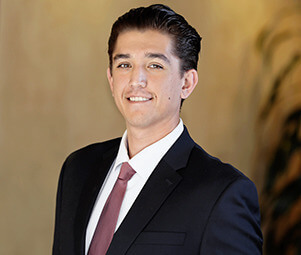 Through the combination of his comprehensive market knowledge and unrelenting work ethic, Kyle has personally guided many of his clients toward their investment goals through their commercial real estate holdings. Before joining Matthews™, Kyle spent time in Washington, D.C. where he worked for a premier strategic consulting firm called Whitmer & Worrall, LLC. There, he attended congressional hearings on behalf of his partners, and specialized in planning and executing client initiatives ranging from Fortune 500 Companies, Trade Associations, Healthcare Organizations, and Universities.